Purifying exfoliant cleanses, tones and decongests enlarged pores, Purifying exfoliant cleanses, tones and decongests enlarged pores and more refined. Unclog and minimize pores with cranberry and raspberry enzymes. Exfoliate and purify skin with blueberry enzymes, zeolite and sucrose. Helps protect skin with the anti- aging properties of antioxidants that reduce free radical damage. Contains jojoba beads and volcanic minerals to exfoliate, cleanse and to stimulate circulation. Cranberry and raspberry enzymes gently and effectively exfoliate. Helps to decongest pores leaving skin polished and refined. 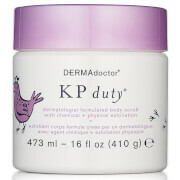 Use 2–4 times a week: Apply 1 teaspoon to damp face, neck and décolleté in light upward and outward circles. Mix with water to desired consistency. Avoid eye area. Rinse well. I had searched for the Scrub I'd just finished but couldn't find it so I have been testing out new ones. Now I can stop because this is amazing. Fine scrub which cleans really deeply without being rough. Use in the shower to get wet enough for a beautiful consistency. Smells good too. Highly recommended and worth the money. I keep Arcona's Cranberry Gommage in our shower because its such an easy product to remember to use. It's so convenient and effective, even my husband loves it. This is by far the best exfoliator I have ever used. It is great for sensitive skin. For the first time ever, I was told that my skin looked good! It was a great feeling considering I have been working to deal with break-outs over the last several years. I have mild to moderate hyper-pigmentation or dark spots due to acne. I use this exfoliant 2-3 times a week. I started with a small sample, which lasted quite awhile and I knew I wanted to make this purchase when I was out. 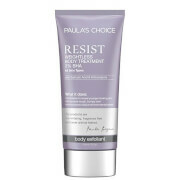 It is similar in price compared to exfoliants I have used in the past, but the results are much greater. My skin looks healthy and it does not cause any irritation. As good if not better than Obagi Zo daily exfoliator at a better price. This does a great job of prepping the skin for other critical products. Highly recommend. My oily/combination skin is sensitive to scrubs and exfoliates that are too abrasive, which is too bad because, obviously oily skin is prone to break outs. Unfortunately this is product is one of those overly abrasive ones. It was too drying, too harsh for my face. It would probably work better on less sensitive skin. I have very sensitive skin. I only use high-grade products and have never purchased a product like this without consultating a spa therapist before. 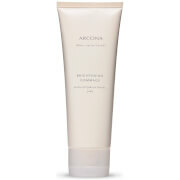 But I ran out of my usual mask/peel and decided to try this Arcona gommage, after reading the ingredient list. It is the best product of its kind I have ever used (I am 64). You can adjust the texture and degree of exfoliation by the amount of water you add to the product. Don't rub harshly; a light touch is all that is necessary. I only use it once a week, which is enough, even in the summer. Follow the directions and rinse very well. Followed by a B5 serum and light moisturizer this gommage is a winner. It makes my skin glow, feel supple and clean,and refreshed, not dry or irritated, and it smells great. The ingredients are excellent. I love it. Going to try it on my husband next. I love this product a little goes a long way and your skin looks so smooth and refreshed after use.I had deep clogged pores that no matter what I did I could not seem to make them better I have been using this since Jan. and I love it getting ready to order some more. best scrub I have ever used!! gentle enough but definitely does the job! my skin is so soft after using and absorbs my moisturizer better. I use it every other morning...all of the arcona products are wonderful and they smell amazing! I have been using Proactive for about a year now, and I got so tired of it! My face stinging, bleaching my pillowcases while I sleep, super red complexion...about a week of using this bar with the Magic White Moisturizer, the AM Acne Treatment, and Night Worker a few times a week, and my skin is soft, smooth, and WAY less irritated than with Proactive. And this is all natural! So much better. Thank heavens for Arcona! !